Description: The only CRO tool that helps you survey, test, message and segment in one place. 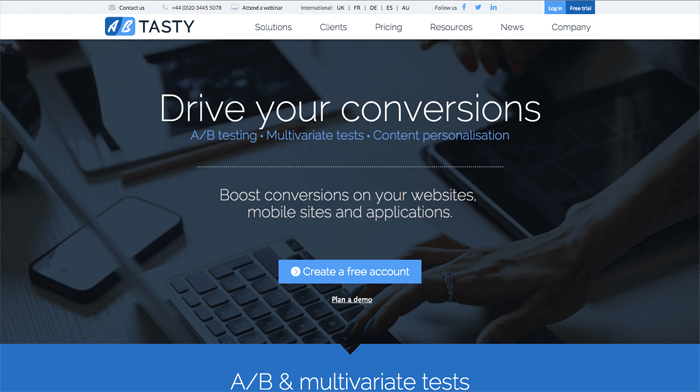 Description: AB Tasty helps marketers tailor user-​​experience and increase conversion rates through A/​B testing and content personalisation. A user-​​friendly and interactive SaaS-​​solution, AB Tasty makes it easier to compare different designs of a page – regardless of technical skills. By using AB Tasty’s intuitive editor and visual reporting, marketers can easily apply changes to their websites, collect valuable customer data in real-​​time and make data-​​driven decisions based on reliable statistics. Description: With a name that reminds you how you have to Always Be Testing, ChangeAgain calls themselves the most cost effective A/B tool. Integrates with Google Analytics in one click, and has an easy to use visual editor. No limit on traffic. Description: A company that has been around for quite a while, Optimizely was the first company I learned about in an A/B testing class way back when in 2009 at Philly BarCamp. 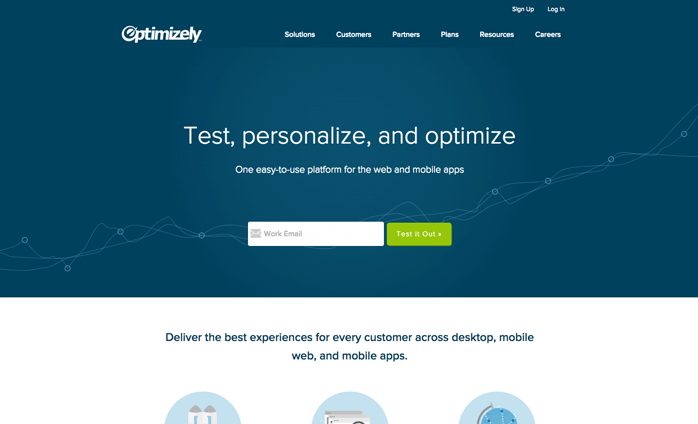 With plans to let you test your site over and over to refine, Optimizely lets you fine tune your pages to optimize conversion and meet your goals. 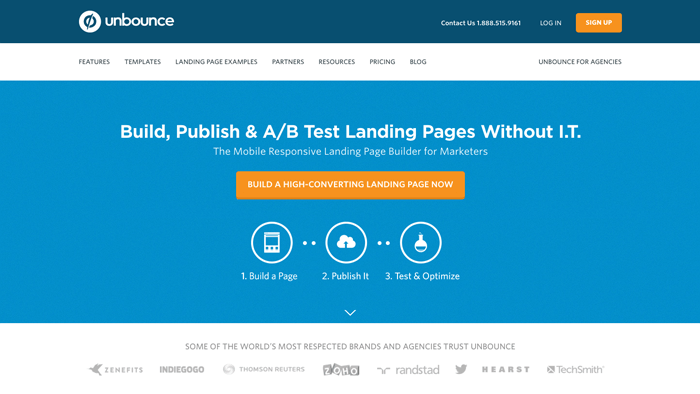 Description: Focused more on landing pages, Unbounce lets you build high converting pages with testing and optimization. Start with one of their proven landing page templates and go from there. Also, the Unbounce mailing list is a goldmine of quality articles on conversion. 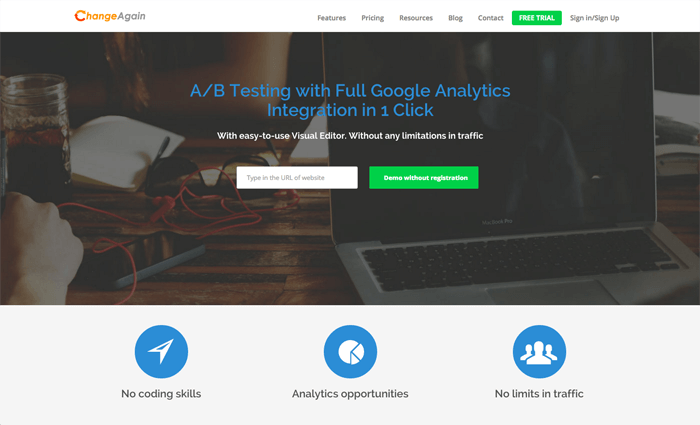 Description: Very affordable and offering a load of features, VWO (visual website optimizer) offers everything the other A/B testing platforms offer, but at a lower price. 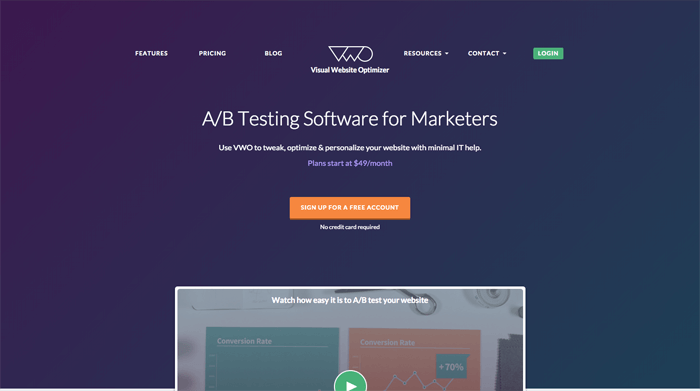 Build your site with VWO and test everything to improve conversion and results. Description: If you’re still stuck deciding on the right A/B testing tool, check out this TrustMap created by TrustRadius. It lets you compare A/B testing tools based on satisfaction ratings from real users.